Sewing, Quilting and Embroidery. Bernina's strong focus on technology and precision engineering keeps their products at the top of the choice list for ambitious, creative and discerning needle crafters. This emphasis on technology puts amazing results across the sewing spectrum within the reach of everyone. When it is time to upgrade, whether you are new to Bernina or an experienced owner telephone for an appointment for a demonstration. Create your own designs on your PC or order beautiful designs and embroider them with ease. BERNINA DesignWorks is a suite of three modules - CutWork, PaintWork and CrystalWork - which can be used independently or together. 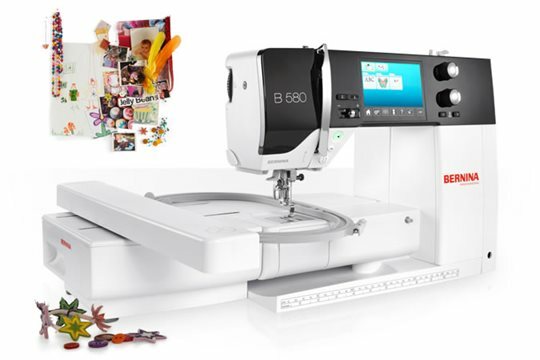 BERNINA ARTlink 8 is free embroidery sizing software that enables you to open native ART files and many other formats and convert them to the format you need. All 3, 5 and 7 Series machines come with a 7 Year warranty but you would expect that from BERNINA wouldn't you? Tradition and precision with styling to perfection ensure BERNINA sewing machines enjoy an outstanding reputation worldwide. 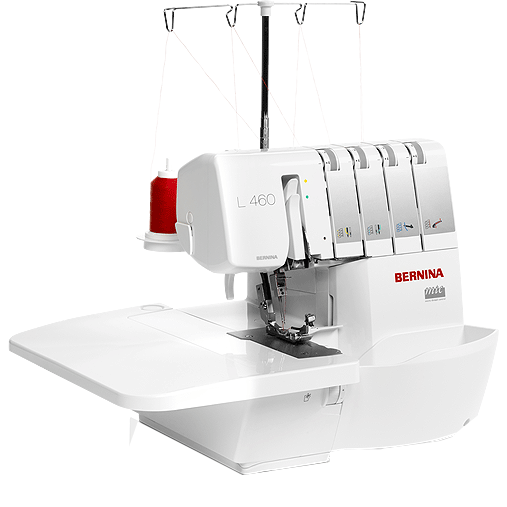 From a robust entry level machine through the wizardry of the Embroidery and Quilting machines to the giant of the quilting world the BERNINA Q20/Q24 with a 20 or 24 inch throat space and mountable on a choice of three frames between 9 feet (2.75 metres) and thirteen feet (4 metres) long. So useful for cutting, stitching and finishing highly stretchy seams in knitwear, fine rolled hems in lightweight fabrics or decorative flatlock seams in woven or knitted fabrics in one operation.